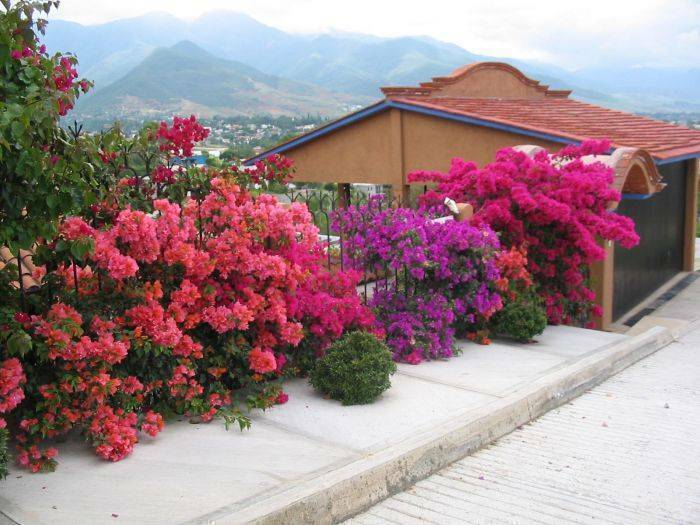 We provide the comfort and services of the large Oaxaca hotels, with the personal touch and quaintness of the best of bed and breakfast Oaxaca. Awake to the rich sounds of rooster calls and Mexican music echoing across the valley, yet youre only minutes from the zócalo. We supply the following breakfast foods for those on our weekly plan: eggs, cereal, fresh rolls and pastries, seasonal fruit, tea, coffee and condiments. We offer internet and laundry facilities at a nominal rate to cover our costs. Bring your own laptop and the internet is free, 24 hours a day. We include in our rate weekday morning drives to the downtown location of your choice (about 10 minutes) be it to a Spanish language school, market, museum or gallery. Taxi and bus service is available a couple of blocks from the house. Our Guest Guide is comprehensive in that it provides valuable tips about how to stay healthy in Oaxaca, recommended restaurants including reviews, touring advice and safety tips. In it youll also find articles on topics youll not find in any tour books or travelogues. Tour guide services are available to the ruins, villages on market days and other sites such as the black pottery, rug and cotton textile towns, Hierve el Agua, 16th century churches and monasteries, and more off-the-beaten-track destinations such as full day treks up the mountain roads to visit mom and pop mezcal operations where you can learn the age old production techniques and subtle flavor nuances of the states famous alcoholic beverage. If youve rented a car or are driving your own vehicle, feel free to avail yourself of our touring advice. 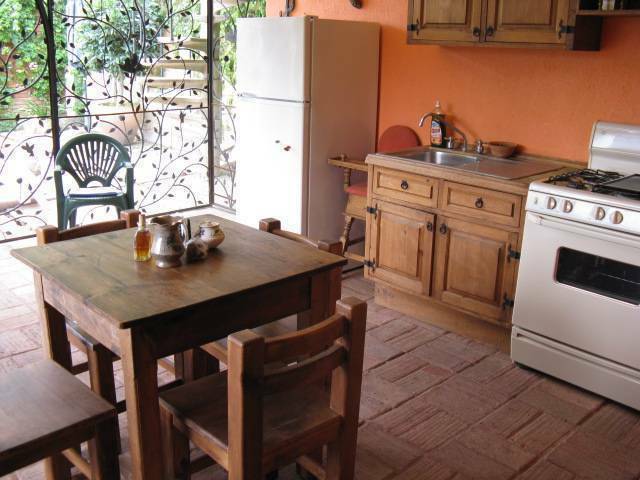 Also available on request are private cooking lessons in our large, traditional kitchen by one of Oaxacas pre-eminent chefs who for years has been receiving praise and recognition from novices, seasoned chefs, and the international culinary community including well-known food critics and restaurant reviewers. 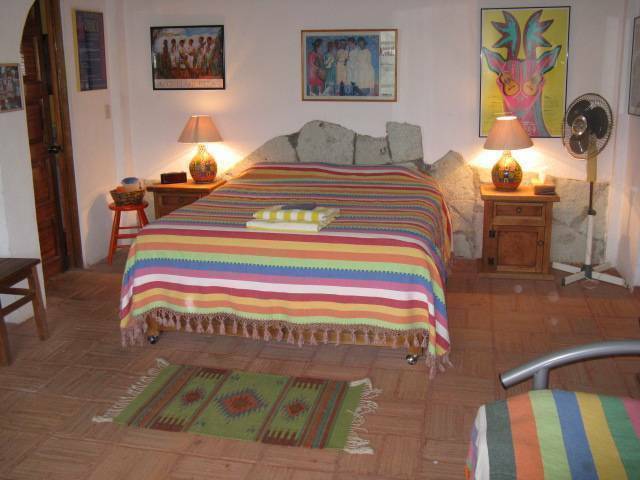 Your host is recognized as a Oaxaca expert on an international travel website, is a founding member of the Oaxaca Bed & Breakfast Association, and is an occasional consultant to documentary film production companies. 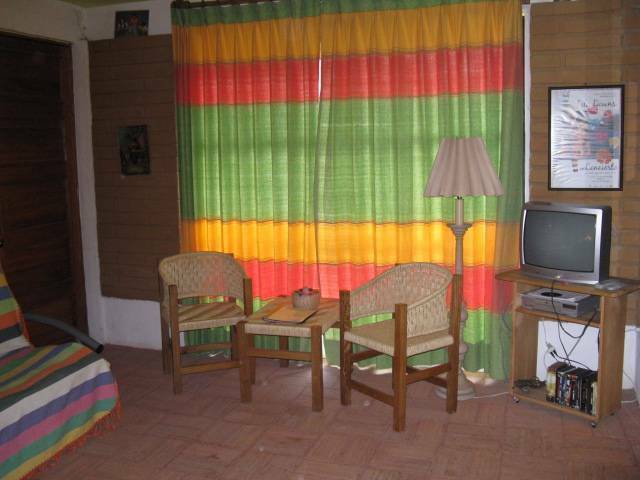 The accommodations are spacious, except for the small, second bedroom (which we usually recommend only for children). 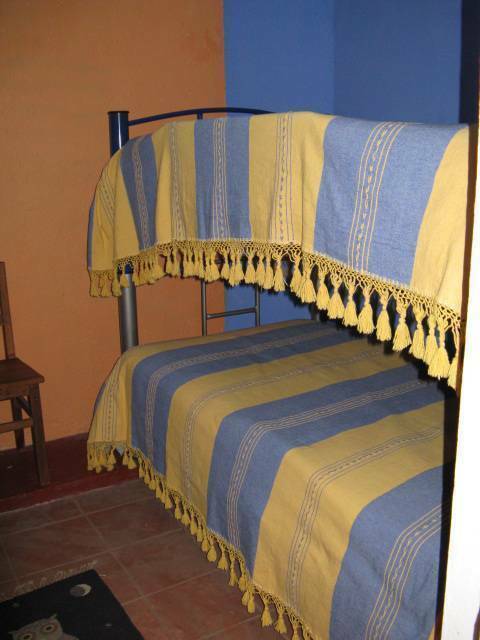 It adjoins the bedsittingroom and contains full size bunk beds, a chest of drawers and long clothes rod. The bedsittingroom is 19 x 13 and contains a queen size bed with night tables, full size futon (down top available to make it comfy), 3 piece wicker settee, TV (cable and DVD with a selection of DVDs), radio, etc; the full kitchen is 14 x 15 and includes table and four chairs and cot for snoozing, with the following appliances: fridge, stove, microwave, coffee maker, blender, toaster, and electric hand mixer and juicer; and the private landscaped patio is 20 x 22 and is adorned with a round stone table and four chairs, large freestanding adjustable umbrella and a couple of padded lawn chairs. A crib with all accessories, high chair and stroller are available upon request at no additional charge. 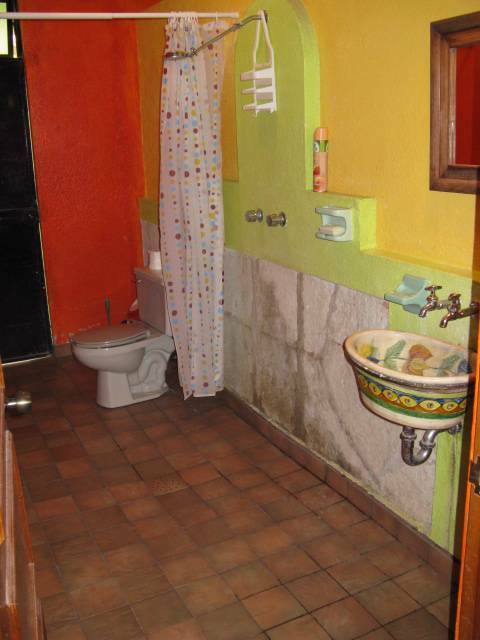 The washroom is 3 piece. All is private including your entrance to the guest level of our home. Please note that we do have a house pet, a four-year-old boxer whom you can keep out of the entire guest level of the home if you are inclined to do so. Suburban neighborhood with small variety stores about 2 blocks from the house, and restaurants about 7 - 8 blocks from the house. Please inquire re precise rates for families and during the 5 high season weeks. Please inquire re monthly rates. If you cancel at least 60 days prior to your scheduled arrival date, we refund 100% of the deposit we receive, less a $75 administration fee. If you cancel at least 30 days prior to your scheduled arrival date, we initially refund 50% of the deposit less a $75 administration fee, and if we are successful in re-renting thereafter, to the extent that this enables us to refund the balance less the $75, we will do so. If you cancel less than 30 days prior to your scheduled arrival date, to the extent that we are successful in re-renting, we will refund the deposit less a $75 administration fee. A 50% deposit is required to confirm a reservation. Colonia Loma Linda is about a ten minute drive north of the zócalo, close to ISSSTE and the Civic Hospital, the medical school and the Fuente de Las Siete Regiones. We are 5 minutes from the bus terminal, and a half hour from the international airport. Nearest airport: International airport is a half hour from our home.